Conor Ryan is named to start at centre back Photograph by John Kelly. 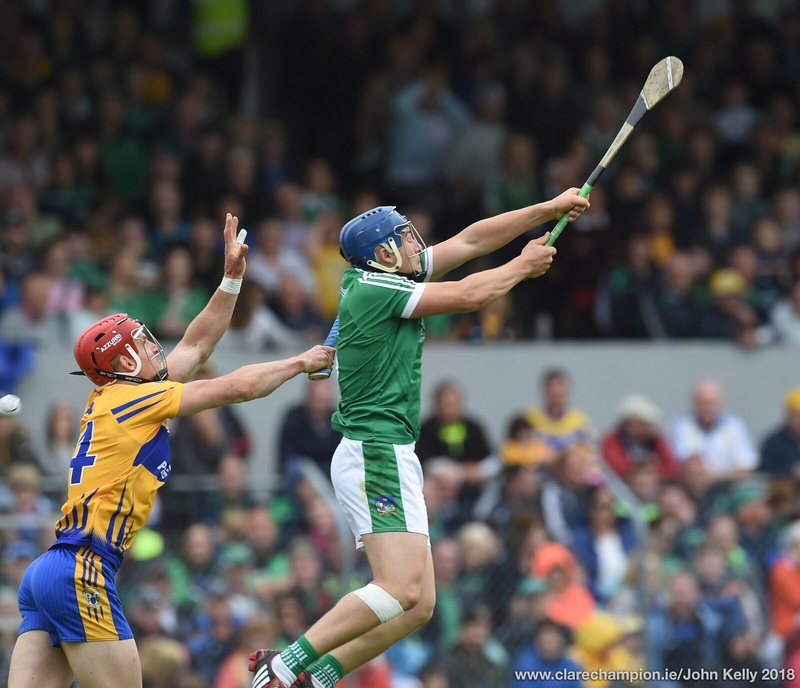 From an early stage in this hurling qualifier round 2 tie at Semple stadium, it was clear that there would be little between the teams at the final whistle. 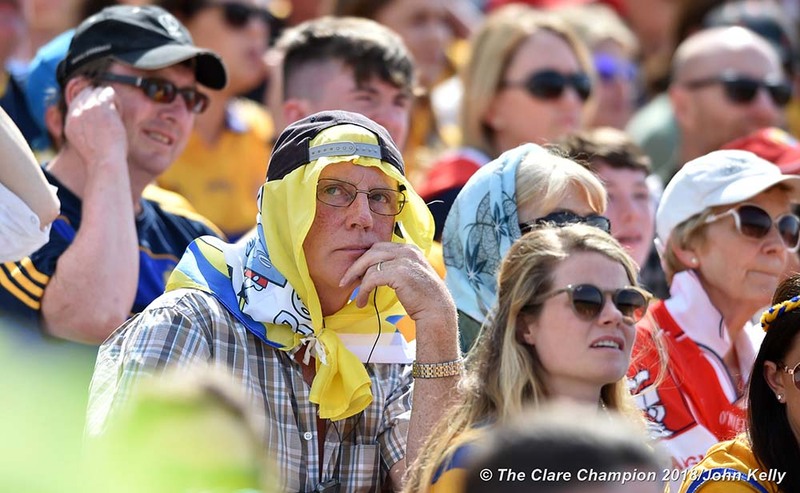 And so it proved, but, for Clare fans that is little consolation as they ended up three points adrift of their Cork opponents after as really exciting contest which produced thirty seven scores. Clare will be concerned last the fact that they failed to score in the final ten minutes. Substitute Colm Galvin put them two clear in the 60th minute and, with the aid of the wind, things looked good for Clare. Cork, however put in a storming finish and four superb points from Pat Horgan together with one from substitute Paudie O’Sullivan sealed victory for the Leesiders and ended Clare’s championship season. 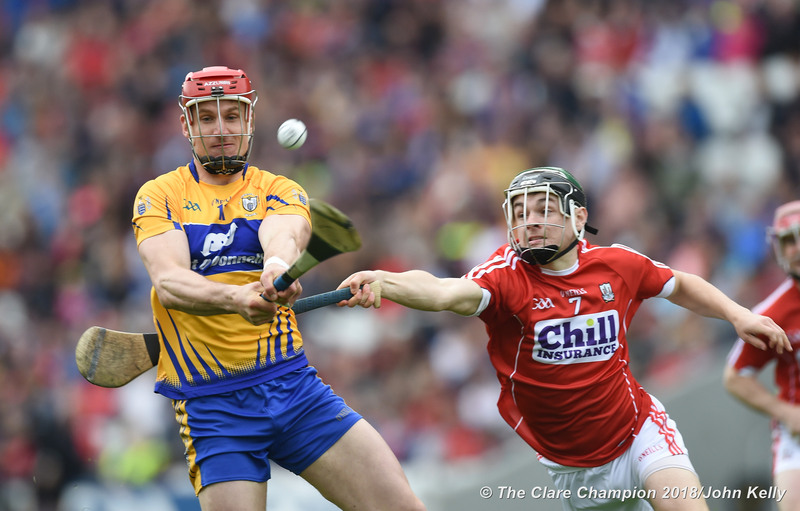 Clare will looked to missed chances on an evening when they had a total of eighteen wides, twelve coming in the second half, but, in fairness, Cork also had chances and their wides tally was one more than Clare at nineteen. The teams continued to exchange points on the resumption and by the end of the third quarter they each had added five to their half time totals. Cork took the lead after just thirty seconds when Seamus Harnady pointed but Clare responded with three in a row. The play was switching from end to end at a rapid pace and the respective defences were kept busy. 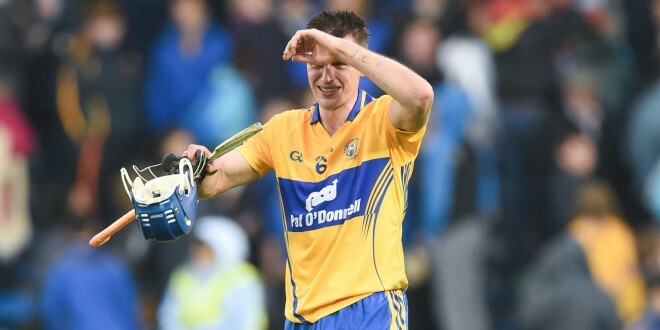 Clare created two good goal chances in the opening half but Shane O’Donnell saw his effort go narrowily wide after he was put through by Conor McGrath before a superb tackle by Brian Lawton denied Tony Kelly as he looked set to find the net at the mid point of the half. When the half time whistle sounded, Cork led by the odd point in nineteen. 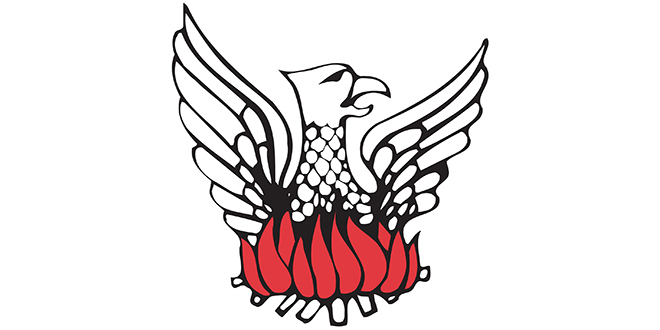 Clare;–Patrick Kelly (Inagh-Kilnamona); David McInerney (Tulla), Cian Dillon, Capt. (Crusheen), Seadna Morey (Sixmilebridge); Brendan Bugler (Whitegate), Patrick O’Connor (Tubber), Jack Browne (Ballyea); Conor Ryan (Cratloe), Tony Kelly (Ballyea); John Conlon (Clonlara), Colin Ryan (Newmarket-on-Fergus), Shane Golden (Sixmilebridge); Darach Honan (Clonlara), Shane O’Donnell (Éire Óg), Conor McGrath (Cratloe).